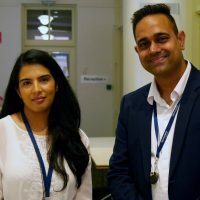 The Australian Institute of Social Relations (AISR), the training division of Relationships Australia SA, is thrilled to offer a scholarship for students to study the Advanced Diploma of Community Sector Management online. This qualification supports managers to become inspiring leaders for a responsive Human Services sector. Faculty members for this program include a number of exceptional leaders in the community services sector, such as Relationships Australia South Australia’s former CEO, Judith Cross. Two $2500 scholarships are available for leaders from either the South Asian or African communities. This reduces the total cost of this qualification from $6500 to $4000. Payment plans are also available to help with the remaining fees, please call us to discuss your options further. The Advanced Diploma is delivered as a blended learning program to ensure that your study fits in with other commitments. Face-to-face sessions are held at our training facility in Hindmarsh. The AISR is known for its full commitment to supporting students through their study towards successful completion. All prospective students must fill in a Scholarship Application Form and our Qualification Application Form. The forms and application process are listed below. This offer is only valid until April 3 2017 and cannot be used with any other special offer from the AISR. There’s never been a better time to advance your career at the Australian Institute of Social Relations! For any further information, get in touch on (08) 8245 8100.